Two hours, a thousand steps, catching my breath at an altitude of more than 3,000 meters above sea level, finally I reached the top and learned how to control my breathing. 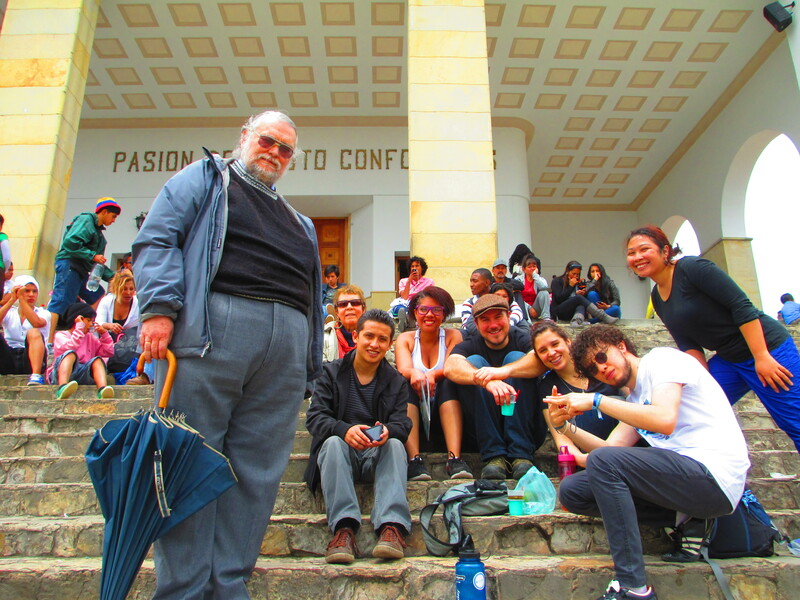 Going to Monserrate by foot was the craziest thing I ever did here in Bogota (so far). I knew that my body has not adjusted well (yet) with the altitude but I still decided to go up with a bunch of friends from work on a national holiday. Honestly, halfway to Monserrate, I thought of giving up. I mean, I can still go down (which was easier) and take the cable car up. I praise God for having good companions who were very patient with me during my long stops. There are 10 stations (and stops) going up the pilgrimage site. The two-hour walk that seems forever was just a small portion of the whole day’s activity. But in that two hours I had a chance to know my co-workers more, hear their stories, and share mine as well. We found out that we have several common interests and the conversation continued as we enjoyed the scenery on top. It’s my month-sary this week (actually over a month already). I actually survived Colombia. So far this is the longest time I have been out of the country (I broke my record). 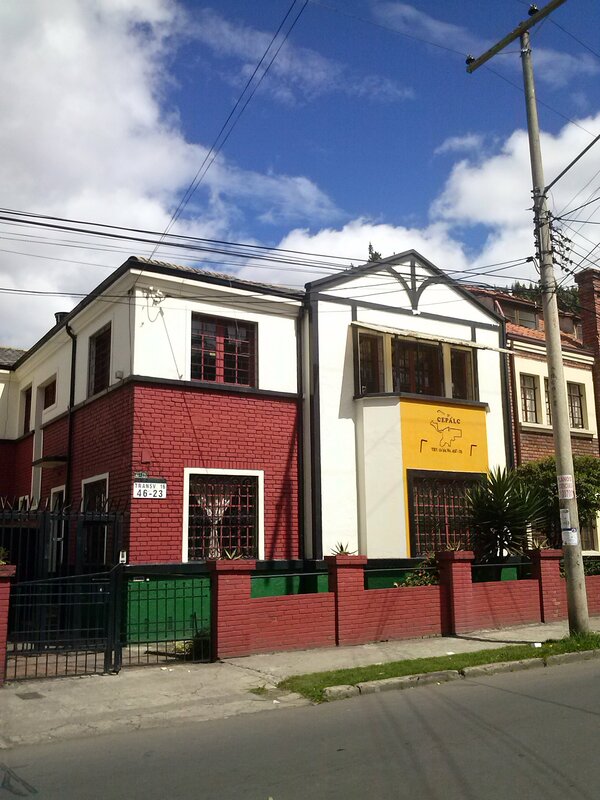 Like that two hours climb, slowly, I came to know (and continually know and learn) Bogota, Colombia; CEPALC and its work among communities here; Colombian culture; and the people I encounter every day. The month that I’ve been here is just a small portion of what’s going to happen in the next days, weeks, months, year. 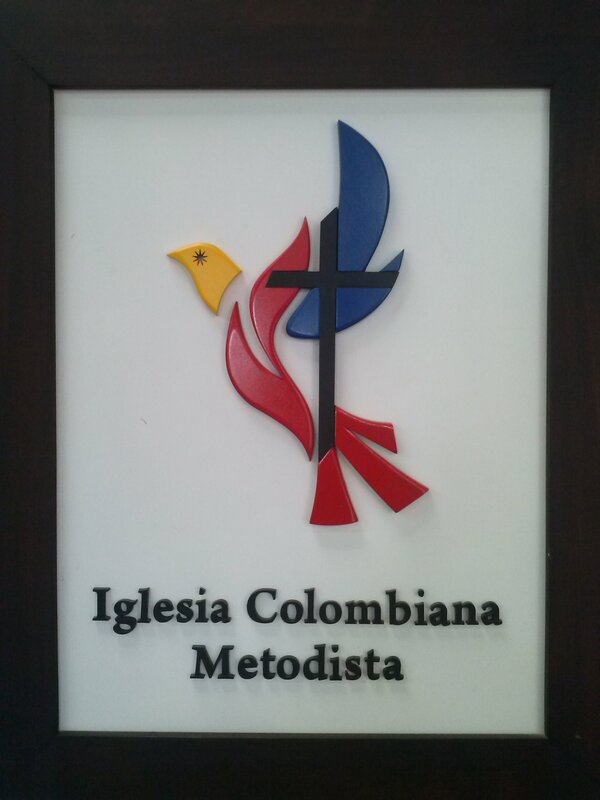 On September 29, 2013 I had my first communion in Colombia with the Colombian Methodist Church. As I was approaching the Table, my “heart was strangely warmed” (as John Wesley puts it). “I am actually part of the Methodist community here now,” I thought. Communion or the Lord’s Supper is indeed a sacred moment, and for me I always get teary-eyed when I partake the elements of the body and blood of Jesus Christ. “Feel at home.” These were the words that the pastor, his family, and the members of the church told me. I am always at home with the church and just being a part of a new family overwhelms me. It always amazes me to know that God’s presence is everywhere, in everything, and in everyone. And even though the entire Worship Service is in Spanish, I praise God that His Holy Spirit gives me the wisdom to understand and to be in solidarity and in one spirit with the congregation. What I look forward also is to have a small group fellowship with the young people other than Sundays. Spirit of Ecumenism. Although most of the time I am with the Methodist Church, I am so blessed to be involved in the ecumenical community here. A week ago, I joined a Gender Dialogue in a Lutheran Church, and in November I will be co-leading with Mennonite leaders for their activity on violence against women. I also made friends with a store cashier after going several mornings to buy breakfast. I remember that on our second encounter, she asked me, “Do you believe in God?” With pride and confidence I said yes! She started sharing her faith and asked me to pray for her. Since her store is near our office, I often come to see her. “Who jumps higher than the mountain?” I asked my colleague at work, who was also with me during the climb. Who do you think? Well, anyone can jump higher than the mountain! Why? Because a mountain couldn’t jump. (Jajaja!!!) Anyway, I broke my record. 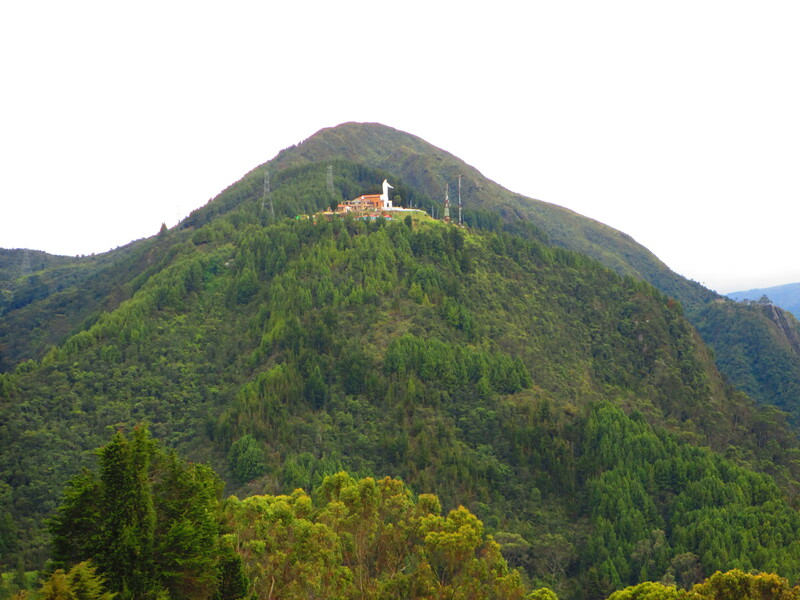 (Even if I had trouble breathing) I was able to climb up Monserrate, which is a pilgrimage site and a tourist attraction that is 3,150 meters above sea level. I had migraine, back pain, and catching my breath so hard that I thought I was going to collapse. From the top I could see the entire Bogota. It is a really big city (bigger than Metro Manila) with around nine million people and from my view, I could see the difference between the poor and the rich. Social status is very obvious in several aspects: infrastructure, location, environment, and direction. If you live in the southern part, you’re poor. But if you live in the northern part, you’re middle class to rich. Just like my respiration, the view is breathless. But at the same time, realistically bothering. My office mates and friends said my Spanish is getting better. (All credits to God for giving me wisdom to learn.) But although I can make sense of several words and understand people when they speak, I still couldn’t get the right construction of sentences most of the time. I had lead activities for children as well. I can confidently go to the market or the public areas and ask people. Even in the buses, I made friends as well as I practice my Spanish. And friends from other country, who know Spanish, write to me in Spanish in my facebook, which is really helpful to practice and think Spanish all the time. “Tengo a pensar en Espanol!” I always tell myself to “think Spanish” so I could speak Spanish. It is still hard but I praise God for my colleagues at work, especially my supervisors, who continually correct me with my grammar. Now, I just bought a book in Spanish by one of the famous classical writers in Colombia. I hope to finish it soon (with comprehension of course). So my mother’s new complete name is Avelina Algodon Bohol and all children will follow that middle and last name. (I hope you did get my point.) The short version is Avelina A. Bohol. “Cedula por favor, senora.” Que? I had no idea before why people ask me my cedula or plainly a number. I was first offended when I thought they were asking for my cellphone number. I mean why would a random person ask me for a number, right? That is so weird. So, in some mornings I go with my supervisor to the bank. One time, I asked him about the number thingy and he explained that Colombians have cedula (identification card). It is a long-term ID and they need it in almost everything, like: in groceries, pharmacies, bank transactions, paying bills, purchasing anything, and state social services. He said that even a foreigner who stays in the country for a long time needs to have one–so I will be having mine soon!!! We also have cedula in the Philippines but we renew it every year and it’s just a piece of paper. But here it’s really different. So, for now I use my passport number when purchasing and paying bills. Do you have cedula system in your place as well, or an equivalent to this? On September 9, a colleague’s dad committed suicide. His dad had cancer in terminal state for two years now and the cancer spread throughout his body. Couldn’t bear the pain, he shot himself at lunch time with a 45-cal. 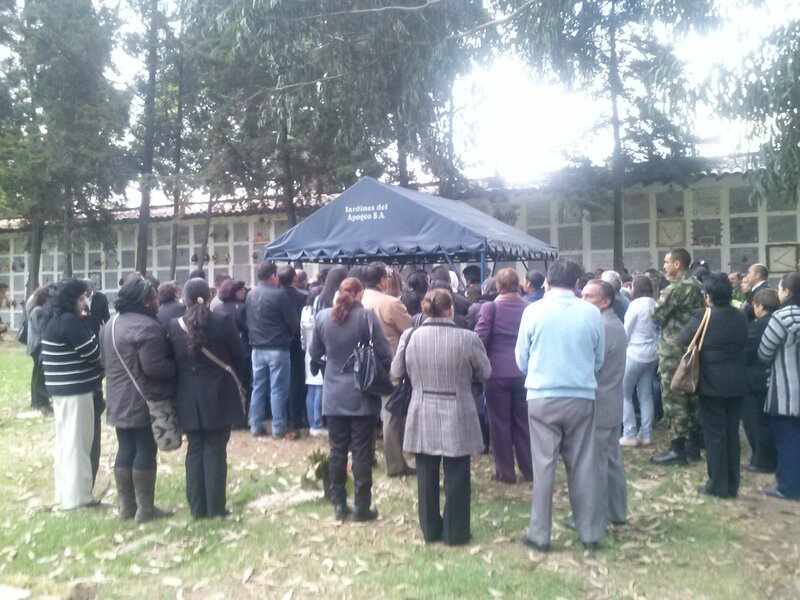 Two days after the incident, our team went to join the burial ceremony. Crowds of people in his neighborhood and community were there. The church was full of people who were encouraged by his life. I didn’t know him but my colleagues said that his father was a good man and has helped in bringing alternative education in the community. He was cherished by all people he encountered. 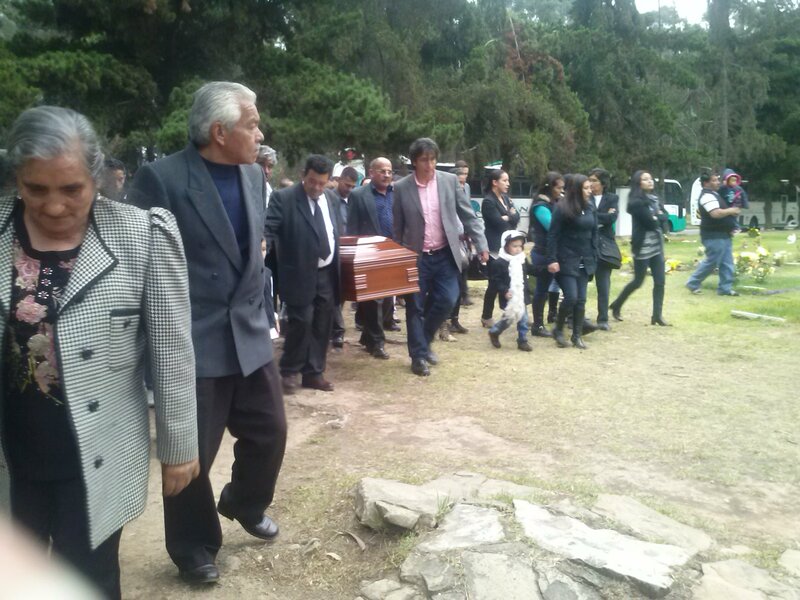 Unlike the normal funeral services I have been to in the Philippines, especially when my grandmother died, Colombian funeral is short. The cemetery is at least 2-hours away from the city (my supervisor said it’s because of sanitation purposes that they have to put cemeteries outside the city). Football (soccer) is a major thing in Colombia. 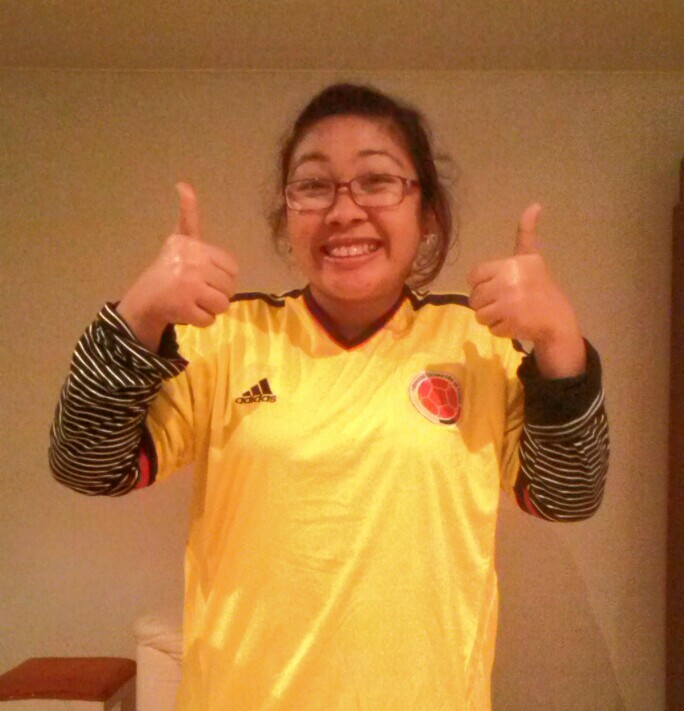 In every game, people (almost all) wear Colombia football jersey even at work. Taxi drivers, cashiers, professionals, students, wear the same shirt. A friend gave me one, too. During the game between Colombia and Chile, people were on the streets, in restaurants, and just making a big fuzz about it. When Colombia was announced to join other international teams for the World Cup in Brazil 2014, the city turned into a party place. People making noise on the street (like New Year or Christmas party). I feel and see the results of all your prayers with me. Two days before this posting was the first time I came home late from work. I had to attend a meeting at the office and missed my regular bus trip at 5PM. At around 5PM there was an accident between two buses on the station going up north (my daily route) with the same number as the bus I take everyday. The accident severely numbed the streets and nearby stops, causing heavy traffic and stranded passengers. From the looks of it (from afar) the buses were really damaged, I believe that many people were wounded as well. I could have been on that bus if not for the late meeting. I could have been one of the hurt passengers and might be even worst. But God interceded because of your prayers. since 1993 . Back then, she said, “There are only 15 Filipinos and I was the newest one at that time, so I believe I am No. 15.” Working among poor communities for 19 years in Latin America, Raquel said it was the first time she spoke in Filipino language after 18 years (since she never got to meet the other Filipinos after their first encounter at the Consulate’s office). 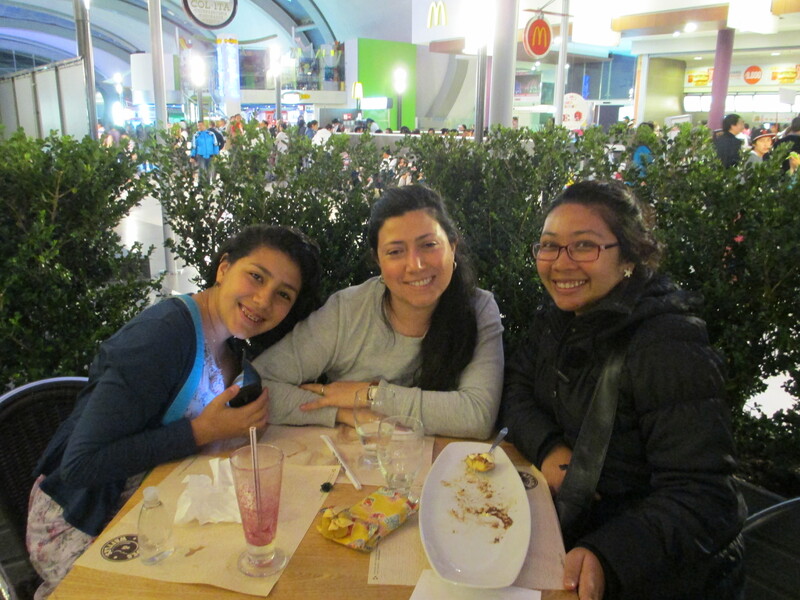 After several attempts to meet up (through a Filipino friend back in the Philippines who connected us), I finally got the chance to visit her in her place on October 20. She speaks very good Spanish and she’s very accustomed with Colombian living already. 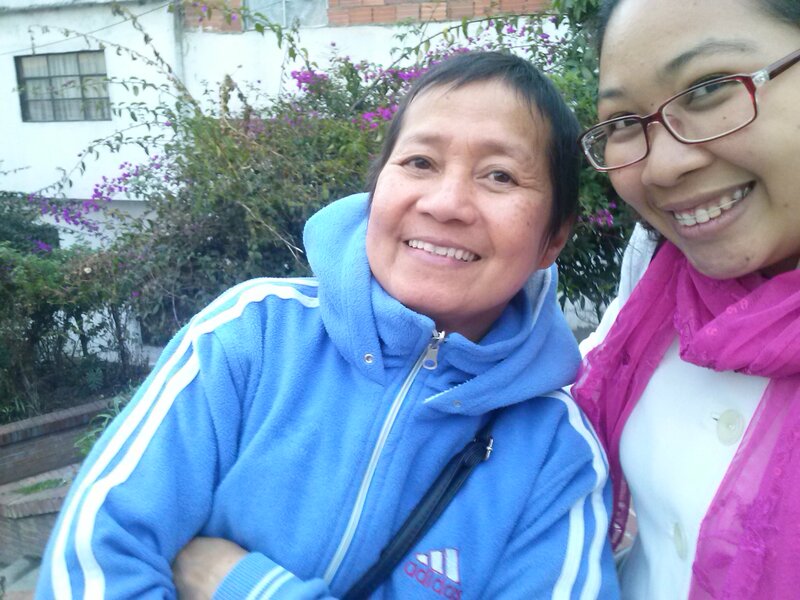 When I visited her, she prepared Adobo (a typical Filipino food). Outside our office, at the gate, we have this pile of plants, mostly grass that nobody seems to care (people even throw trash there). 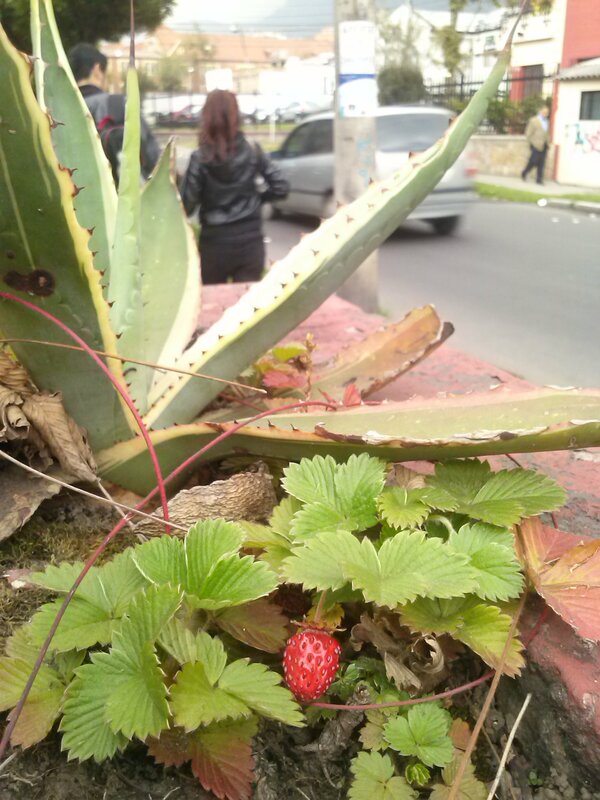 One time, I saw something pink hidden under the leaves and when I looked closer, I saw a budding strawberry fruit. What seems to be a “mere wild plant” is actually a precious one. Just like the budding strawberry fruit in the midst of a chaotic environment, I know I am slowly budding into what God planned me to be–adapting into the culture, the traditions, and most of all the climate. He knows what I can do and how I can be His hands and feet in this place. My schedule is still lenient and focused on language study. I get to observe and join meetings and activities as well. A lot of things is still blurry for now but I know I would slowly see the beauty God has in-store and that people will also slowly see God’s purpose in me here as I continually work with them. My first quarter is almost over, in fact I already received an evaluation form from the Global Ministries about my placement. 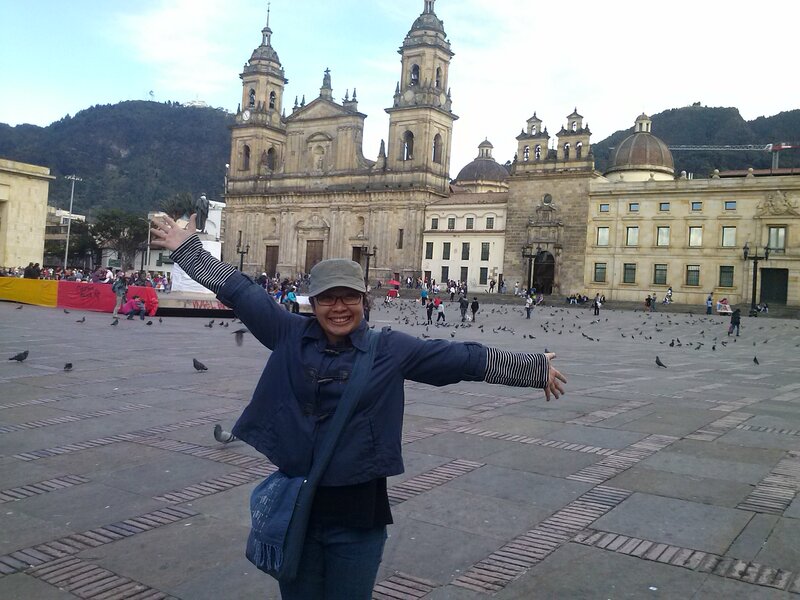 I haven’t checked it yet but I am definitely sure I would share my “why I love Colombia!” People are just so awesome to work with plus the children, youth and the adults we work with are superheroes! Every day I see God at work. And every day I am reminded of God’s presence in this place, and my part is to be in unity and solidarity among the people. SO, WHAT’S YOUR TOP 10 (SO FAR)? To know more about my work and how you can be a part of this ministry, check my profile at Global Ministries website, Joy Eva Bohol, missionary support code 3021829 (click the code and it will direct you to the online giving) through The Advance.